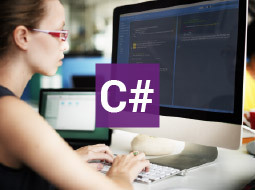 Learn how to code in C # with decision statements, collections and events in C# programming. C# Programming - Coding with Switch Statements, Collections and Events shows you in a step-by-step manner how to code in C# using decision statements, collections and event-driven programming. The course begins by describing the different types of decision making statements such as the switch decision statement, if...else statement, and the if...else...if statement. In C# if you have a number of constants that are logically related to each other, then you can group together these constants in what are called enumerations. You will learn how to declare enumerations using the enum keyword. You will learn about using the try-catch statement when handling exceptions. In C# programming when handling exceptions the key is to check for the most specific first and then the more general exceptions. In a try-catch statement the order of the catch clauses is important because the catch clauses are examined in order. You will learn how to create and manage groups of related objects using collections. You will learn about Language-Integrated Query (LINQ) and how it offers a consistent model for working with data across various kinds of data sources and formats. You will learn how to use the C# WPF application and which parameters the AddHandler statement takes. This C# programming course will be of great interest to all learners who would like study a step-by-step introduction to coding using C# decision statements, filter and manage collections using the LINQ application, program events, and use Visual Studio Express for programming software applications. Having completed this course you will be able to: - Describe how to declare the switch decision statement and use enumerations. - Describe how to handle exceptions using the try-catch statement. - Work with Collections and generic collections. 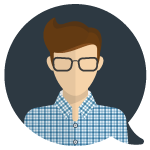 - Describe how to filter and manage data collections using LINQ. - Use the C# Windows Presentation Foundation application for event-driven programming.